she visited our church a few years back for the first time. 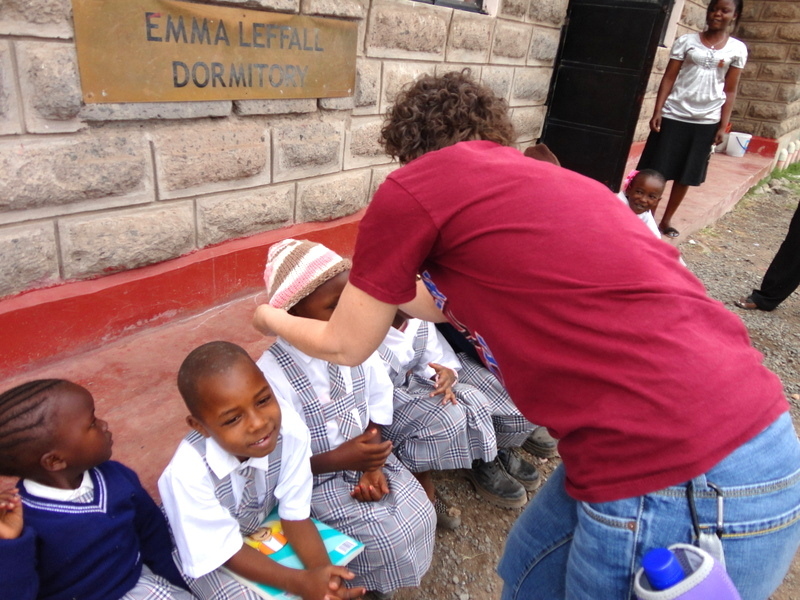 She told the story of how her and her husband had visited Nairobi Kenya and fell in love with the ‘Chokoros’–the children of the dirt—the homeless in Kenya Africa. 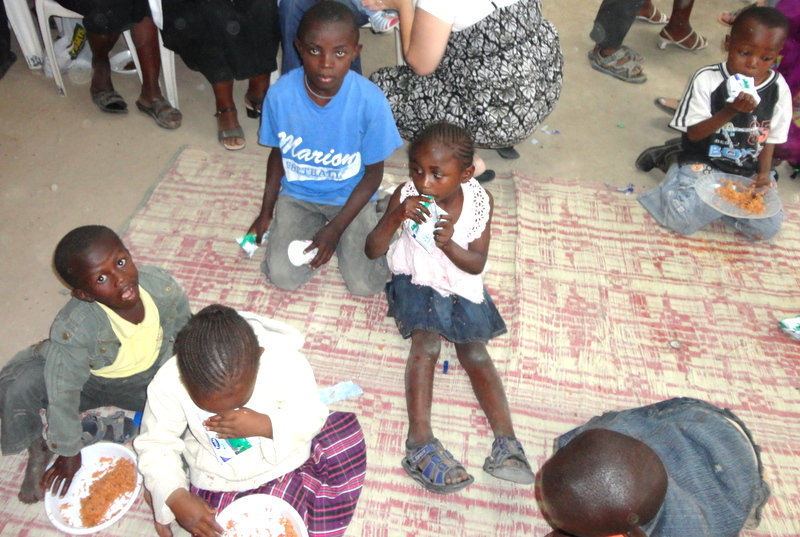 How they couldn’t stop thinking about them and set in motion a ministry to reach out to these helpless victims. During the process, the Lord called her beloved husband home and she was left here, alone, holding the fragments of their dream. But her Lord took those bits and pieces, as only as He could possibly do, and made that dream into a reality. 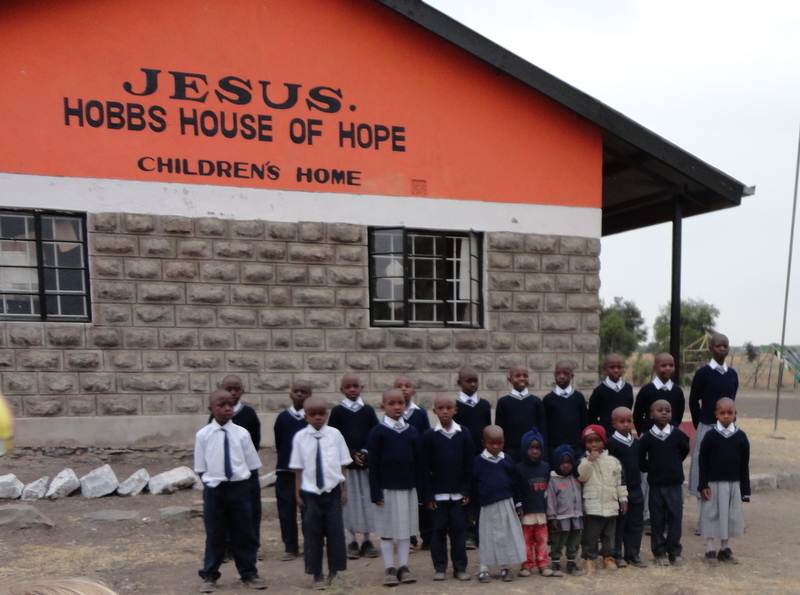 Sitting on a piece of land in Kitengela, Kenya is a children’s home. Jesus. Hobbs House of Hope. 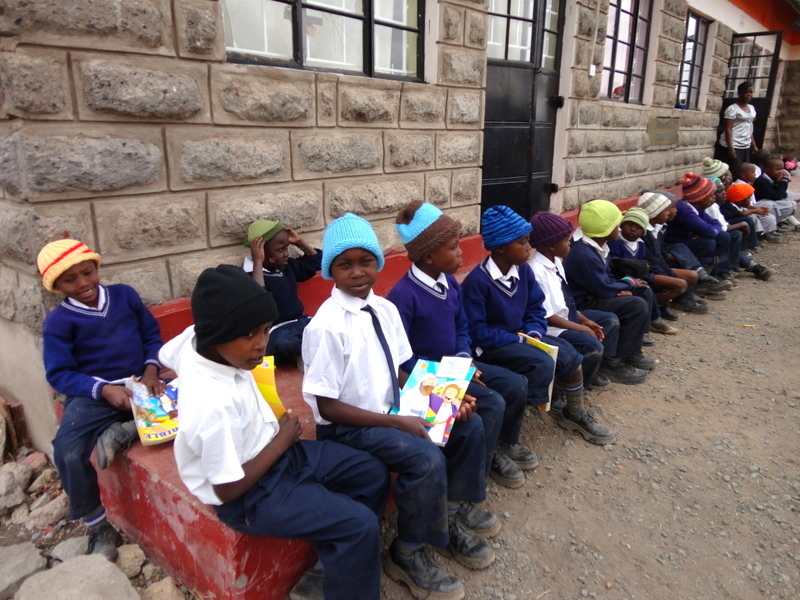 The residents of that home are children that had been scattered throughout Nairobi and the surrounding areas, neglected, abused, starving and broken. Many of them Chokoros. 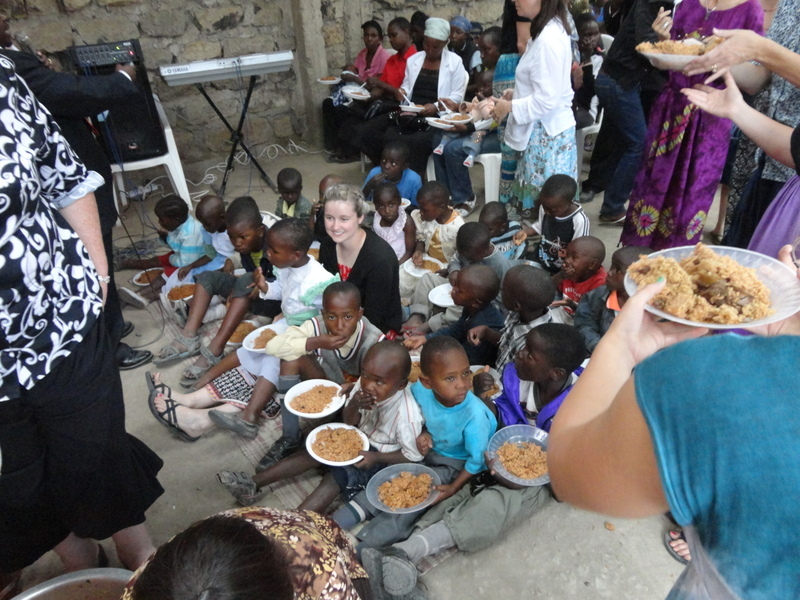 As she told us the story we watched a slide show, a visual of the haunted faces and she told of the needs that still needed to be met and expressed thanksgiving for God’s faithfulness for the answered prayer that had already taken shape and form. And within my chest my heart ached and a desire to help began to grow. But how? The financial needs were so great and I could not possibly help in that area. 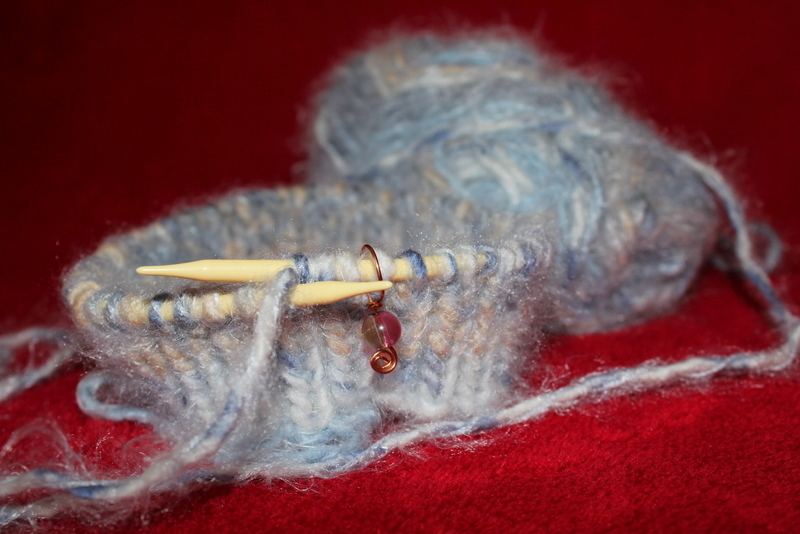 After discussing it with Andrea we began to knit hats. 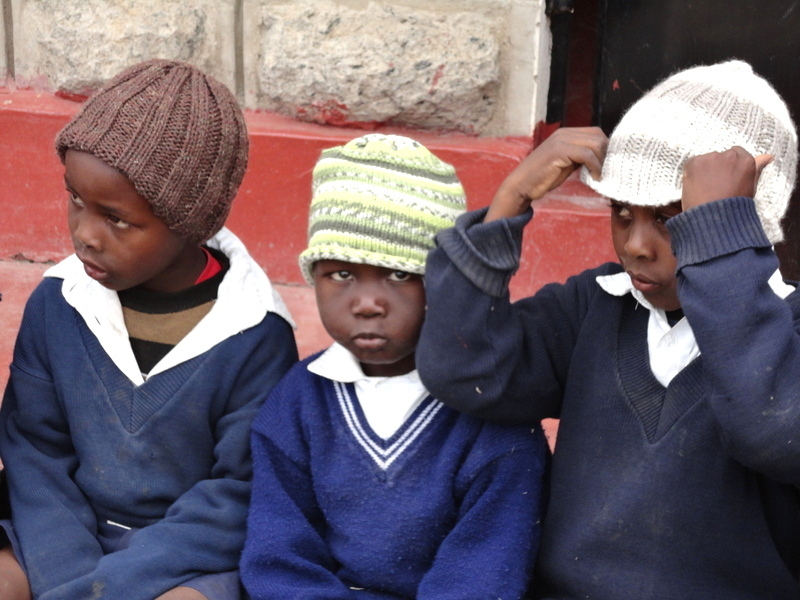 Wherever we went, we were knitting hats. 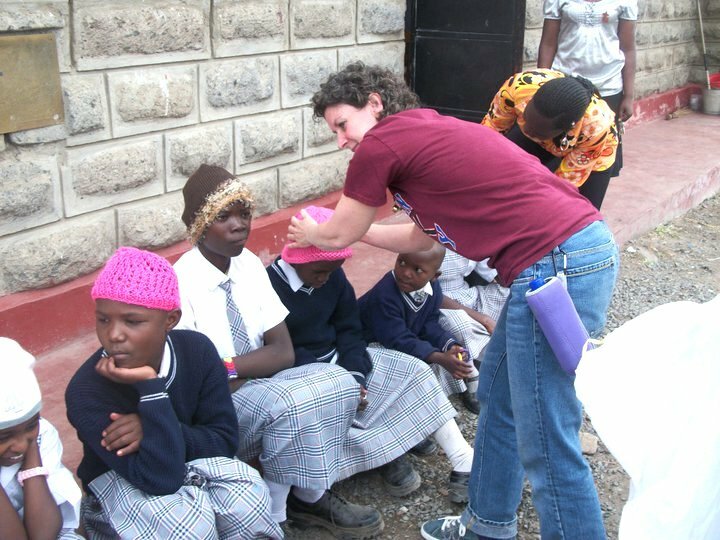 I carried my knitting with me everywhere and often told the story of the orphans in Africa who needed the hats to stay warm. 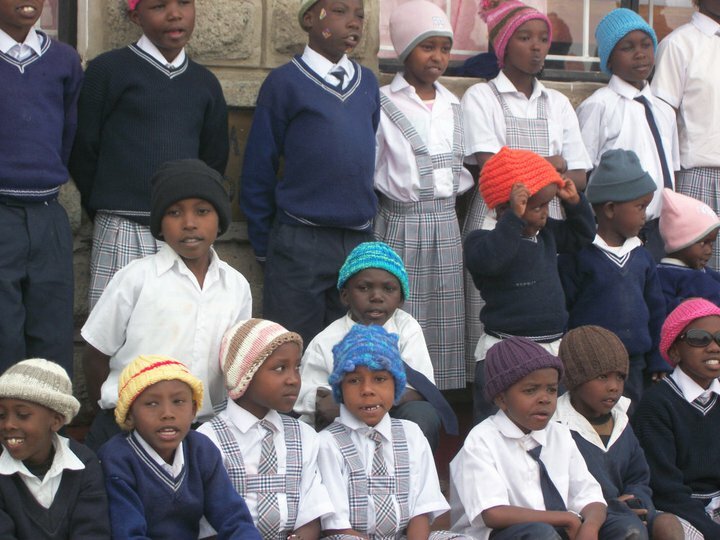 And as I knitted I prayed for the child that would wear the covering, both over their head and as a prayer covering. 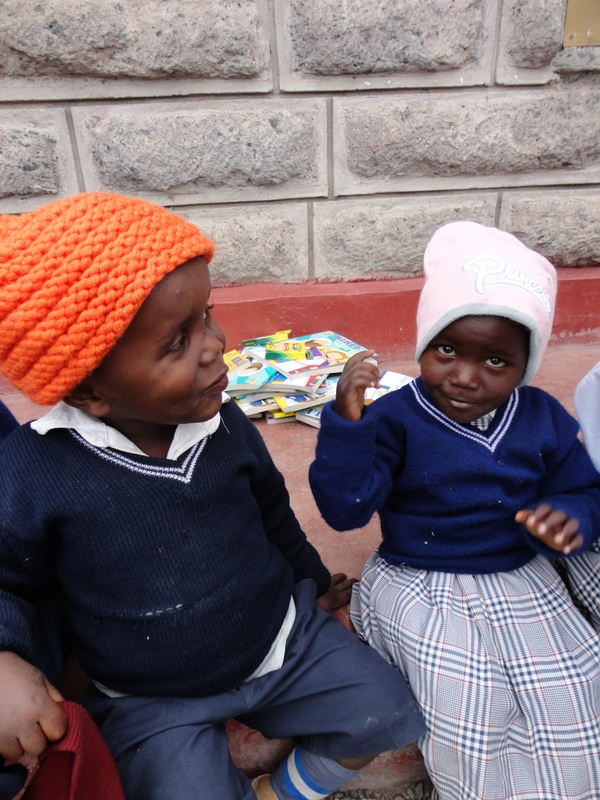 The next time she came we presented her a basket full of hats, and we just kept knitting. 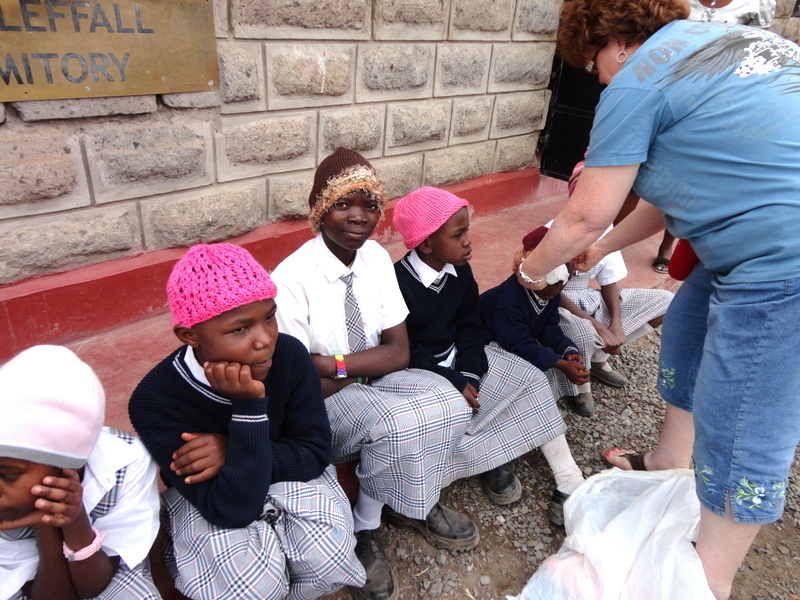 A couple of our youth girls joined in the efforts and started knitting hats also. 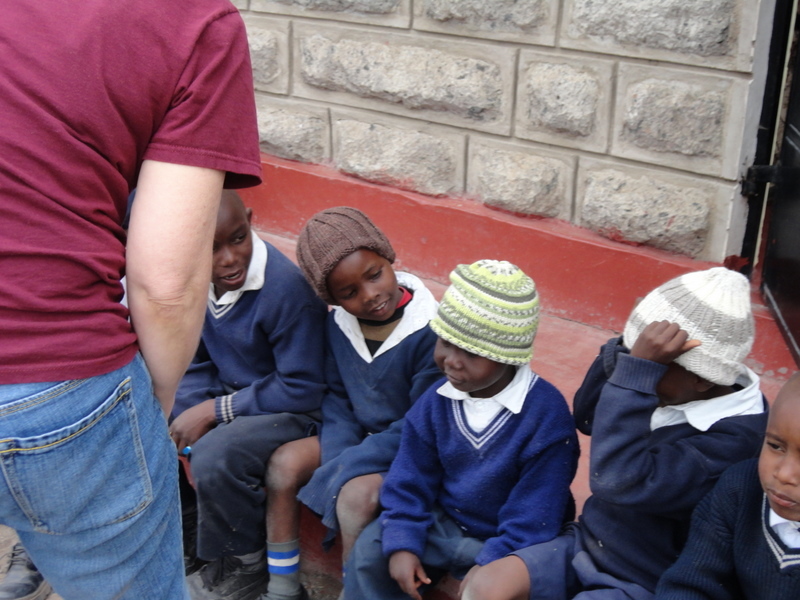 She brought us pictures from Kenya with the children wearing the hats and a video of them expressing their thanks. And still, we kept knitting and praying. 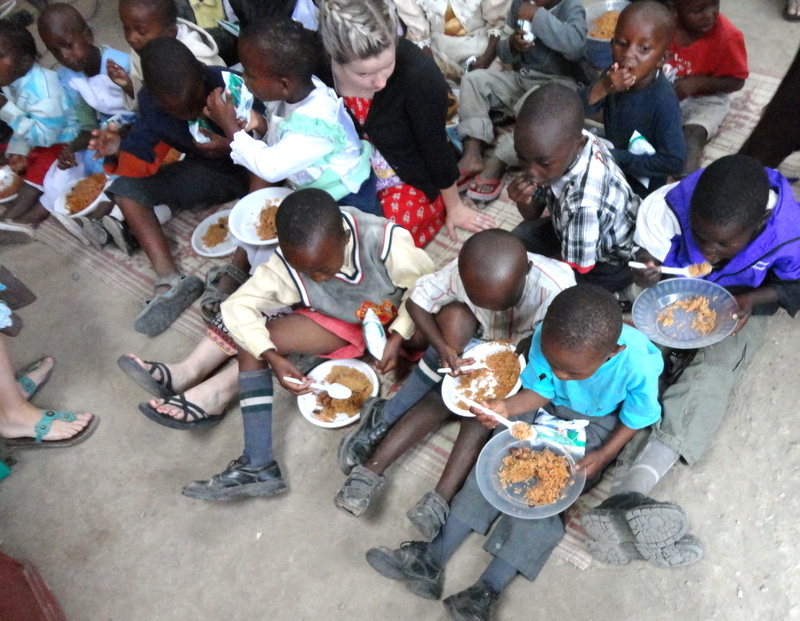 And the prayers that I prayed for these children knitted my heart to theirs and I ached to see them, to touch them and to embrace these precious creations. And our Lord, in His amazing goodness and His unfailing faithfulness allowed me to journey from my own front door to the door of that children’s home. 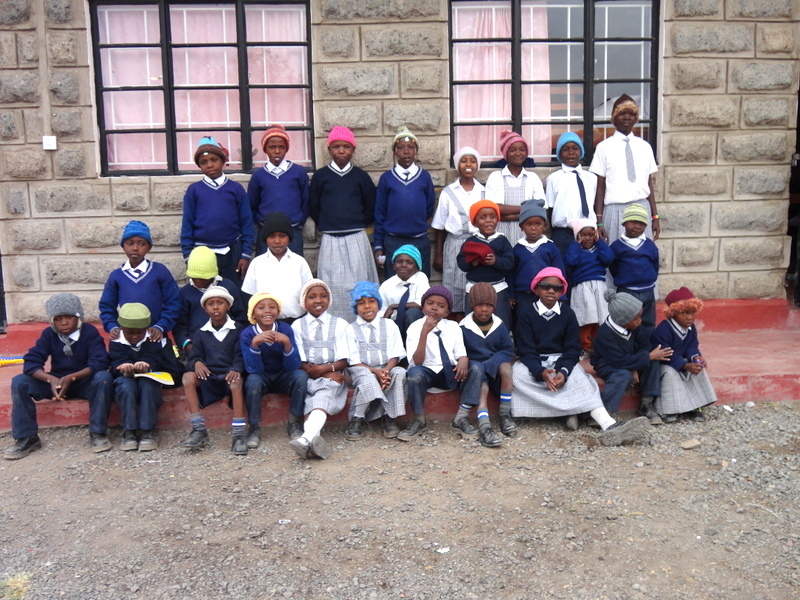 And in the summer of 2011 I made the trip to Kitengela, Kenya and I carried with me the third batch of knitted hats. 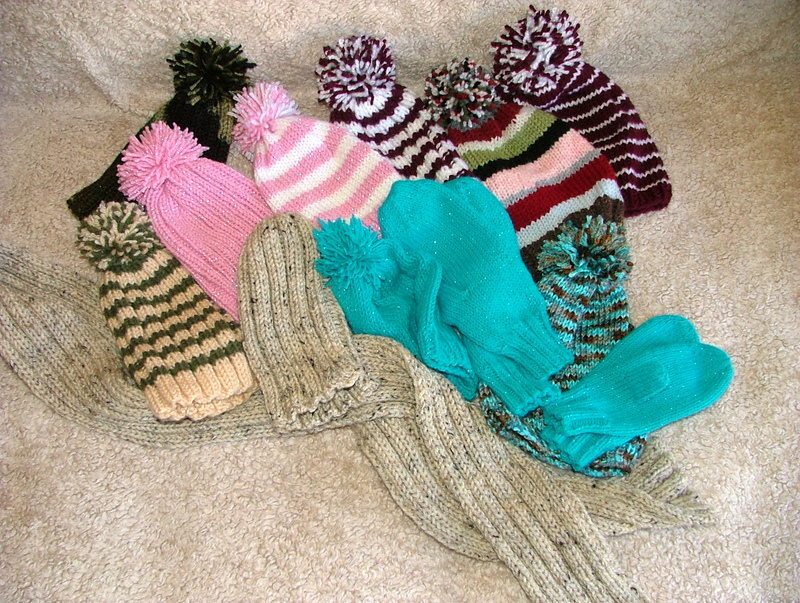 She gathered the children together and with overwhelming emotions and an amazing joy oozing out of my heart, I place the hats upon their beautiful little heads. Peggy-you are the (sweetest and kindest) person I know. Bless you. Awww Sharon!! You are so precious to say that and I truly love you! 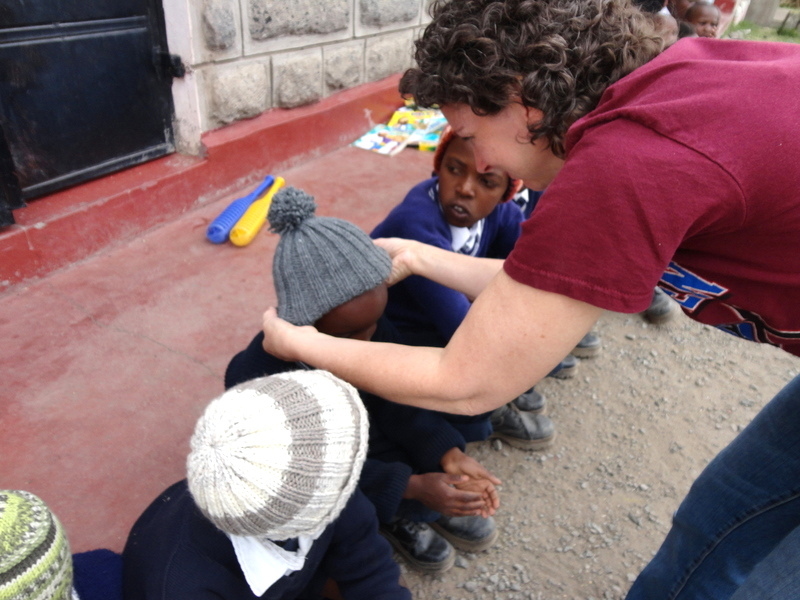 This story made me cry with joy, especially since I was there to share with you. Thank you for letting God use you in such a beautiful way! Love you!